Juventus defeated AC Milan to be crowned the champions of the 31st annual Supercoppa Italiana. Juventus defeated AC Milan 1-0 to be crowned the champions of the 31st annual Supercoppa Italiana. 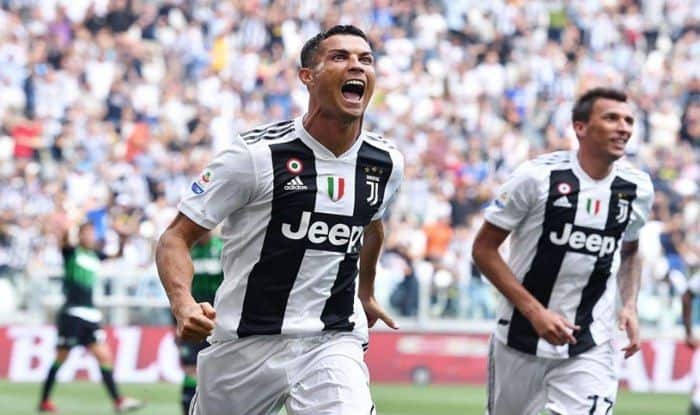 The only goal in the match was scored by Juventus’ talismanic Cristiano Ronaldo at the King Abdullah Sports City Stadium in the Saudi city of Jeddah on Wednesday. The first half was dominated by the defending Serie A champions with shots of from Douglas Costa, Blaise Matuidi and Ronaldo threatened the Milan defense. Matuidi’s shot also ended up at the back of the net in the half an hour mark but it was flagged offside. There was a huge crowd at the stadium with up to 15,000 women among the 62,000 crowd and Italian football league president Gaetano Micciche called the match a success. It was quite a drastic change for the players of both Italian clubs, as back home the temperatures were freezing, whereas in Jeddah it was 25-degree Celsius. Juventus maintained their winning momentum to seal a record eighth super cup title. Milan’s Gonzola Higuain played only for the final 20 minutes of the game with uncertainty still lingering over his future amidst transfer links to Premier League club Chelsea. Head coach Gattuso clarified that Argentinean had missed the team photo because he was suffering from fever and feared the virus could be contagious. AC Milan came close to equalising through a Patrick Cutrone effort but a tactitcally strong Juventus defence kept their lead in tact and saw the match through.